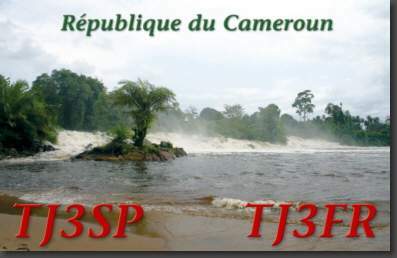 We hit the airwaves again - this time from Cameroon between October 6 and October 20, 2004 with the callsigns TJ3SP and TJ3FR operated by six OP's. You can find DXpedition news on the News Page. Here are some photo impressions of Cameroon and facts about Cameroon. We have had four stations, three linears, two yagis for 20, 15, 10 and for the WARC bands, 2 R7's, a Titanex V80DX for the low bands, a GP for 30m plus plenty of wire for Beverage antennas. Thank you very much to all our sponsors who supported our Cameroon DXpedition!